As a parent, you might be worried so much about your children about his/her activities online. The Internet has made our daily life easier and it has got many advantages, yet meanwhile, it has also got the same number of disadvantages which need to be taken care of before things get way too far to control. Many parents worry about their children’s online activities, because kids of this time spend a maximum amount of time online in one or the other way by quick access with digital devices. Here we offer some tricks for you to track your children or anyone with just their number. These tricks are very useful as precautious measures to take care of your kids before malice. And we also provice a little tips for you to prevent being hacked by others. Tips: If you lost any data like contact or message from iPhone, you can always use Jihosoft iPhone Data Recovery to get them back even without backup. This trick is to fool the target and let him believe you by a spam message. It is one of the Black Hat Techniques to get access to the victim’s Google account by fooling him. In most areas, Google account mainly is connected to everything one does online. Google account is connected to all his/her social media accounts, online shopping, college or school, and even to bank accounts. So Google account is the key to track the person’s activities all over the day. 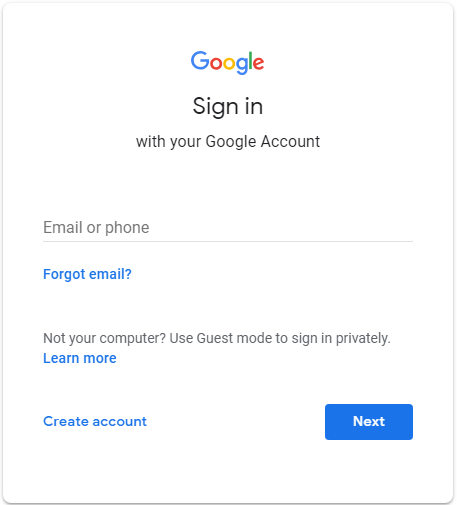 But to access into Google account without the password, you need a security code that Google sends to a victim’s mobile, and that’s what spam text is aimed for. You can just follow these steps to fool the victim and get what you want. Go to Google login page, type in the phone number of your target, and click on ”Forgot password”. Google will then sends the security/Verification code to the victim for verification. Now the hardest part is to get that Security/Verification code from your target. If you can’t reach the target’s phone, then you have to fool him by sending a spam message to his number. Send this spam message to the target and if he is fooled then you will receive a verification code as a reply to your spam message. Once you get the code, you will be prompted to create a new password for the account, then just set a new password. Now, you can log in to the target’s Google account and track every bit of information about him. 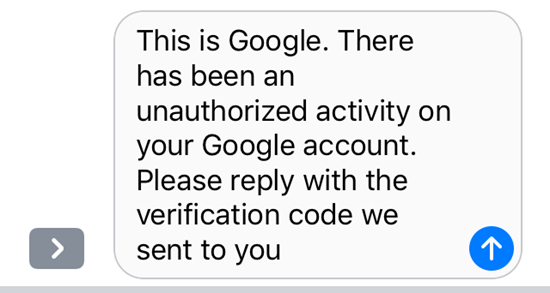 This is how you can fool someone to get access to his Google account with just one’s number. Afterwards, you can track all his emails and map locations to see where he traveled, what he purchased and on what things he spent money on. Pretty much every bit of information of the victim will be compromised. As hacking activities are increasing day by day, we have to keep ourselves safe from getting hacked to avoid hackers stealing all our personal data as well as some sensitive information like bank details, phone messages and also call recordings. These days mobile phones have become a prime target to hack for it can give hackers every bit of information regarding the victim. So it is important to know some tips that keep yourself from getting hacked. Here are some suggestion and tips to prevent yourself from getting hacked. Don’t forget to use passcode or Face ID to lock your mobile to prevent others’ access. Don’t give your unlocked phone to an unknown person in public. Keep your phone with yourself in public space. Don’t install malicious apps from unknown resources. It would be better to use any good Security application on the mobile to keep track of your security. Avoid using public Wi-fi as much as possible. Don’t use easy passwords, always have a strong password for all of your credentials which makes it hard to guess. Always keep all your passwords private and safe. 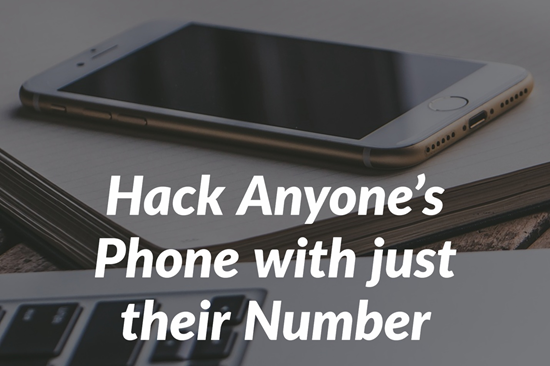 Hope you’re clear with all the steps to hack into someone’s cell phone with just their number. If you have any question, please leave us your queries below in the comment section. Please notice that all the tricks above are not for illegal activities. Also take a look at tips to prevent being hacked by someone, which helps you to secure yourself from the basic at least.